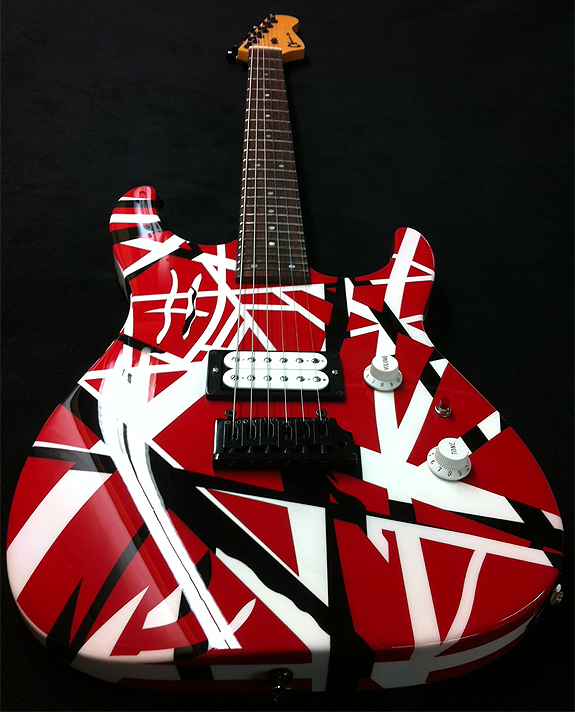 *Pictured below is my Personal guitar. 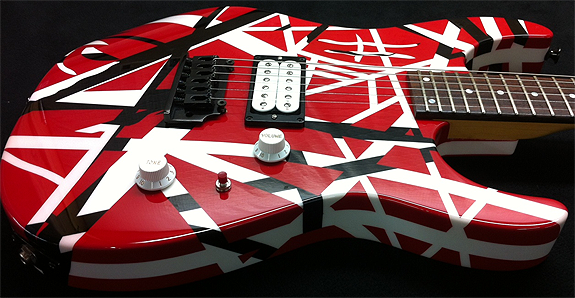 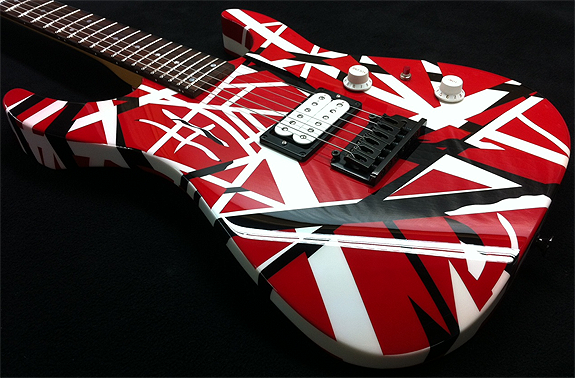 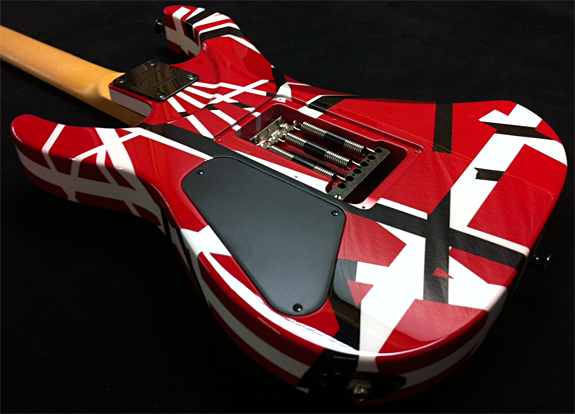 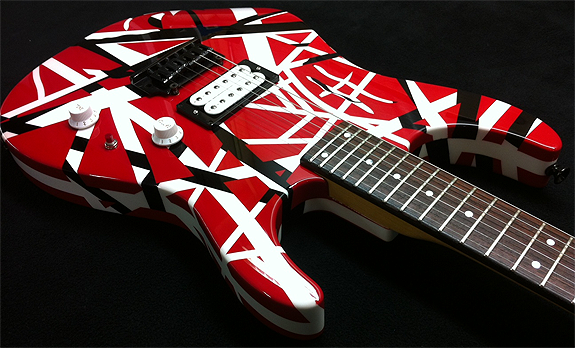 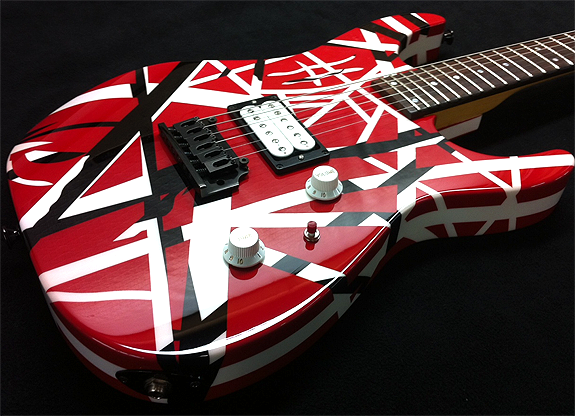 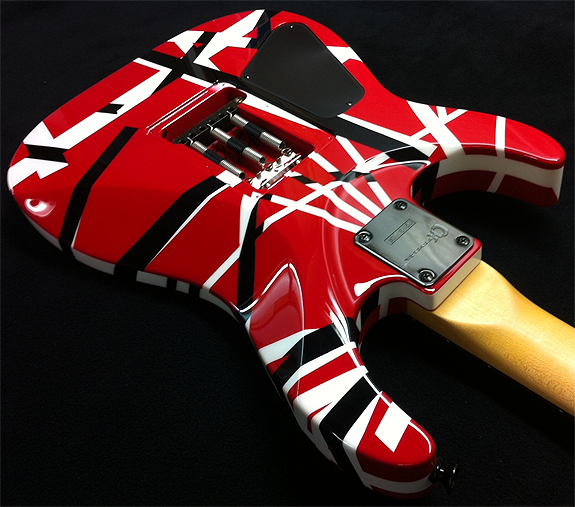 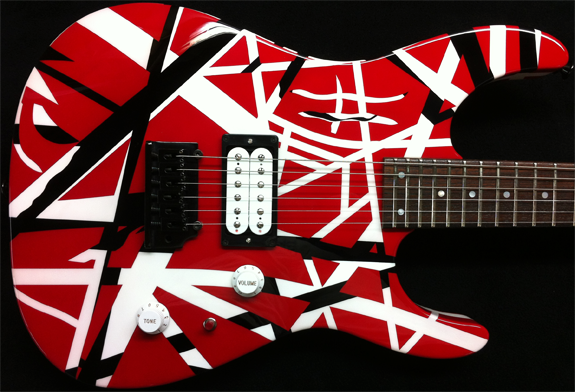 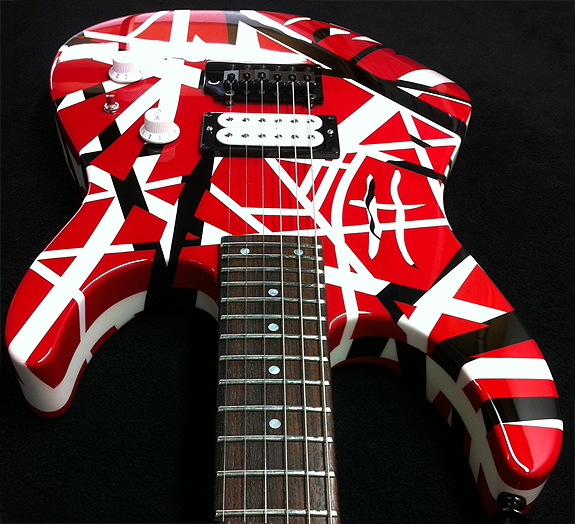 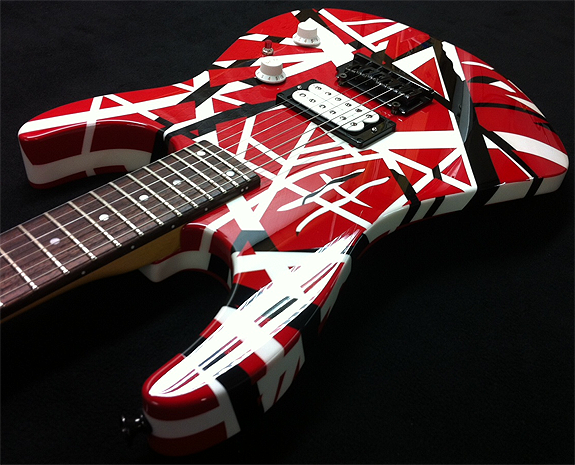 I do not offer EVH striped paint jobs in any of the color schemes Eddie ever used or the inverse of those color schemes. 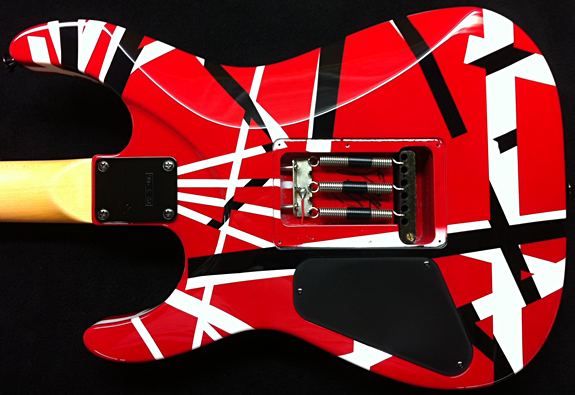 I can however do different colors than what Eddie used & in a unique striped pattern that I make up that he never had if your interested in a striped pattern guitar. 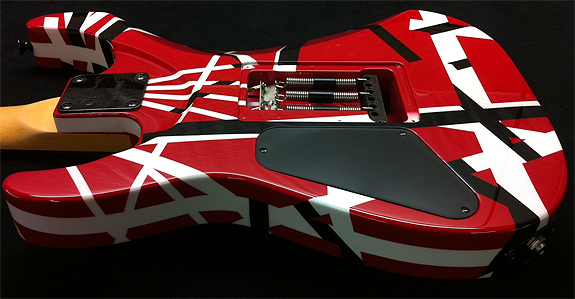 For example see the Silver Gibson U2 or Red Wolfgang in my Custom Paint section. 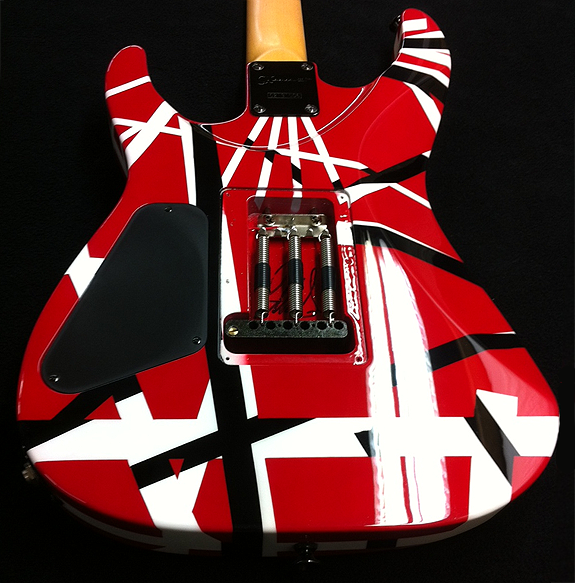 The purpose of showing the guitar below is to show my painting abilities & to pay homage to a legendary guitar & player. 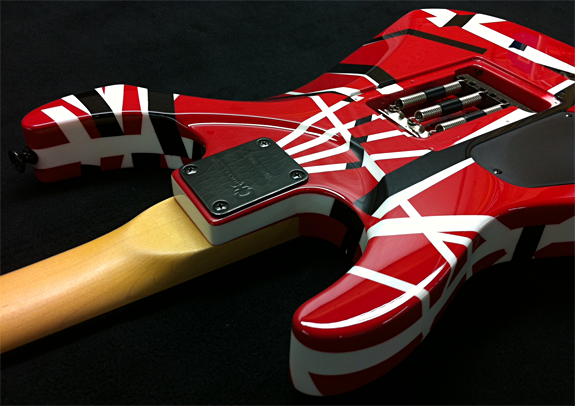 This guitar is NOT for sale.